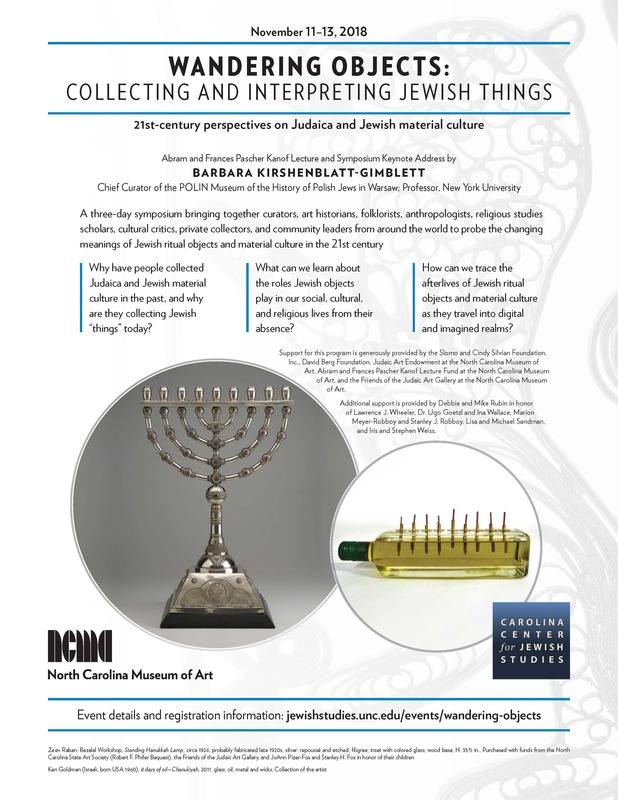 Join curators, art historians, folklorists, anthropologists, religious scholars, philosophers, cultural critics, private collectors, and community leaders for an international symposium probing the changing meanings of Jewish ritual objects and material culture today through their display and interpretation in museums, and as instruments of inquiry and education. Update: October 31, 2018: Thank you for your interest. The keynote lecture and the three-day seminar are sold out. 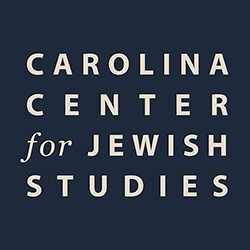 Inc., David Berg Foundation, Judaic Art Endowment at the North Carolina Museum of Art, Abram and Frances Pascher Kanof Lecture Fund at the North Carolina Museum of Art, and the Friends of the Judaic Art Gallery at the North Carolina Museum of Art. Additional support is provided by Debbie and Mike Rubin in honor of Lawrence J. Wheeler, Dr. Ugo Goetzl and Ina Wallace, Marion Meyer-Robboy and Stanley J. Robboy, Lisa and Michael Sandman, and Iris and Stephen Weiss.